The governing All Progressives Congress (APC) yesterday summoned the minister of Women Affairs and Social Development, Hajia Aisha Alhassan, over her comments regarding her political allegiance ahead of the 2019 presidential elections. The minister who arrived the national secretariat of the party at about 1:45pm was ushered into the office of the national chairman, Chief John Odigie-Oyegun, where discussions were held behind closed doors. The minister had recently heated the political space when she granted a media interview where she pledged her unflinching loyalty to a chieftain of the party and former vice president, Atiku Abubakar, rather than her boss, President Muhammadu Buhari. Briefing journalists after the meeting, APC national publicity secretary, Mallam Bolaji Abdullahi said the minister apologised for going public to make such comments. He said, “Since the issue of the comment she made came up, the party has not said anything regardless of what individuals may have told you because we are a party that recognises the right of her members to express their opinions or views. We also had an opportunity to discuss with the minister to understand what she said and in what context she said so before we know how to respond. “So, when she came, we asked her to explain to us what truly transpired and in what context she said what she said and she did offer these explanations. Now, having offered her explanations, we acknowledged that as a member of this party, she is entitled to her opinion and she is entitled to her choice. However, as a senior member of this party, her statements represent an act of indiscretion because with the kind of position she occupies even within the party- she is a party leader in her own right- what she said was not what she was supposed to say at the time that she said it; that she ought to have exercised greater judgment than she did and she acknowledged that yes, maybe she ought not to have… and that maybe the timing was wrong and she apologized, saying if she had put the party in any difficult position, she apologise. “I want you to take note of the fact that nobody is questioning her right to take the position she has taken. We have not come out to say, ‘why are you saying you are supporting this person?’ she has a right to her choice and to support whoever she wants to support. After all, she is not saying she supports a member of another party. “But what we are saying is that with the position she occupies, she ought to have exercised greater sense of discretion and better judgment, knowing that making that kind of statement would definitely create some other situations for the party, if not for the government”. On whether the party asked her to resign, Abdullahi said, “No; that did not come up. What we just said was that we understand the context in which she said what she said but it was an act of indiscretion for someone occupying the position she is occupying in the party to make that kind of statement. “If this was 2018 and the people have filed their applications to say they are contesting and she now comes out and says she is supporting this person, how can that be an issue? But we are still in 2017. We are still far away. 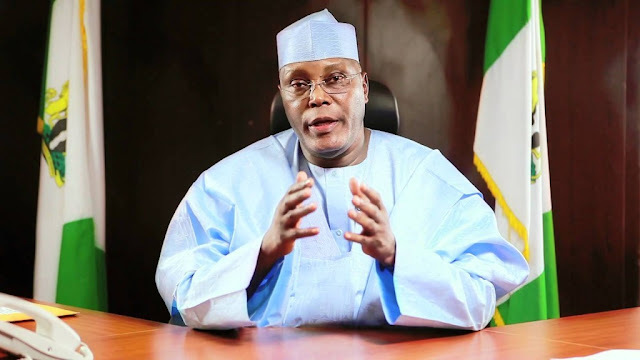 “Atiku has not said he is contesting. He has not collected any form. He has not announced to anybody that he is contesting. So, that is what we mean by the timing. It is not that she had no right to say what she had said.